A few weeks ago, we visited Harrisonburg, VA, where we were the keynote presenters for Vegan Night Out, an outreach event that took over the town with vegan goodies and animal advocacy. The event was organized by Justin Van Kleeck, an extraordinarily thoughtful community organizer, writer, baker, and kale enthusiast who quickly stole our hen hearts. During our visit, we interviewed Justin for Episode 194 of the Our Hen House podcast, where he discussed everything from locavorism, to how his experiences growing up on food stamps have shaped his activism today. After the interview was over, we chatted a bit more with him about the latter, and we were thrilled when Justin agreed to expand on his thoughts for our online magazine. There is no one thing that made me go vegan as a college sophomore in 1999. Life is more complex than that. My lifelong love of animals was a key component, as was a growing recognition of the impact of my personal (and humanity’s) lifestyle choices and the indefensibility of building a life on the death and suffering of others. It took me many years of living vegan, and settling into myself through practices like meditation, before I ventured to become an activist. Again, there was no one thing that made me transition from quiet vegan to public vegan, nor did one issue grab my attention and energy … other than ending the exploitation of non-human animals. Particularly formative for my activism, however, was my experience growing up poor, in a single-parent household, on so-called welfare programs like food stamps, free school lunch, and financial aid for families, among others. Those years on food stamps left me keenly aware of the constraints on food choices that come with a limited budget for food and of the challenges that can prevent veganism from becoming a realistic lifestyle for people of all socioeconomic classes and cultures. In my work as an activist, writer, and educator, I have carried with me the knowledge that not everyone has the ability to make choices based on principles; in many situations, with food especially, the financial bottom line takes priority in the scramble to feed the family, even when people know those choices affect their family’s health. But I have also seen individuals and families struggling to make better food choices, doing the most they can with their Supplemental Nutrition Assistance Program (SNAP) benefits (which have replaced food stamps; a SNAP debit card has succeeded the stigmatized-yet-iconic booklets you may remember). It is a grave misconception to believe that every low-income person just wants to eat fast food and cheap junk. A study in 2011 revealed that nearly 15 percent of households in America said they did not have enough money to eat as they wanted, and estimates have shown that 49 million Americans choose foods based on cost. If people cannot eat food they know is healthy because of budget limitations, even (or especially) with SNAP benefits, can vegans fault them for not eating food that is ethical? 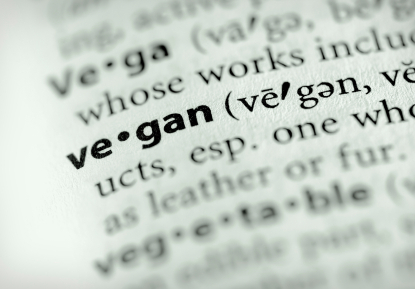 Unfortunately, a prevailing perception of veganism is that it is largely a phenomenon of the more affluent (and white) members of our society – i.e., those who have the flexibility and resources to make food choices based on more than just money. If veganism is to really change the world, though, it must be made workable for, and inviting to, all people, regardless of their demographic. Everyone must have a part. This situation is especially true for people of modest means who face serious restrictions on food, and who often must (thanks to our deeply flawed industrial food and welfare systems) choose the most unethical, most unsustainable, most unhealthy foods simply because they are cheaper, more readily available (especially in the astonishing number of food deserts in the United States), and better marketed. My own experiences with these systems as a poor child from an undereducated family have left me with a deep, visceral awareness of the missing voices from our discussion at the vegan table. It is vitally important that we find ways to include those who are struggling to make ends meet – not to condescend and dictate, but to ask, invite, engage, empower, and listen openly. 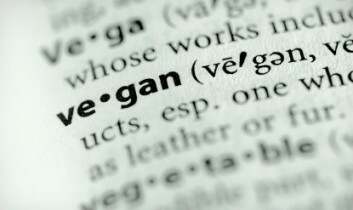 Expanding and refining the discussion among all vegan advocates about how to make veganism more than just a perceived phenomenon, and movement, of the privileged. 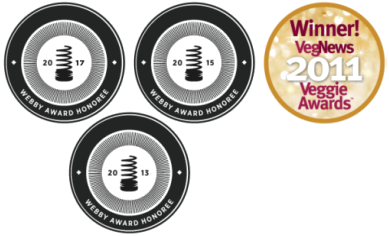 There is a lot of encouraging work being done on this topic, such as Dr. A. Breeze Harper’s Sistah Vegan anthology and related projects, and the increased attention in animal rights and vegan literature as well as in the growing academic field of critical animal studies on the interrelated nature of veganism/animal rights and other social justice movements. 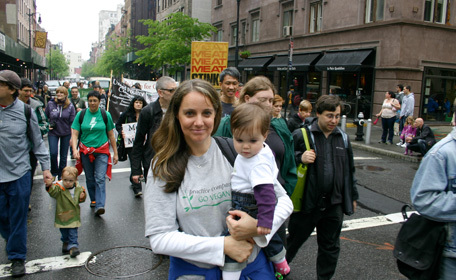 Intentionally building and cultivating ethical, sustainable food systems and social support networks that are not borne on the backs of living beings, but that instead realize the rights and value of every individual – human and non-human, regardless of socioeconomic status – and recognize the systemic problem of low-income access to vegan choices. For example, farmers markets, perhaps the heart of a community’s food system, offer many great options for reaching low-income residents with fresh, healthy food and education. 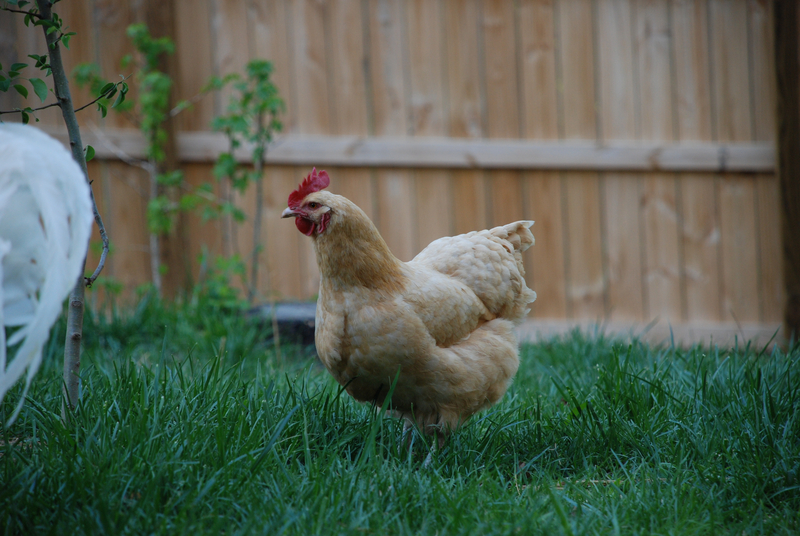 There is significant potential for shifting the focus of such markets, and the entire local food movement, away from their current obsession with locally produced, expensive animal flesh and secretions, which continue the system of suffering and exploitation of farmed animals, to truly sustainable, and sustaining, foods. How can we make veganism more accessible to people regardless of income (or any other socioeconomic factor)? The answers are, in some ways, profoundly complicated. Fortunately, however, we don’t have to know every answer before we take advantage of some promising opportunities available to us right now with tools we already have. For example, one place to start is with service organizations that are open to sharing the message of ethical, sustainable, healthy, vegan alternatives with those they serve. Free clinics, food banks and pantries, community health centers, soup kitchens, shelters, and more already have existing relationships with people who can take advantage of educational opportunities regarding food (cooking, nutrition, ethics, the realities of food production, etc.). Classes could range from cooking to shopping to nutrition, all hosted and promoted by service organizations that are willing to market them to individuals who already know and trust them. Another way to serve such populations is to offer free, bagged vegan meals, which provide people with both food and education, as well as other forms of direct outreach. These efforts can reach low-income individuals and families not only through a direct connection with vegan foods (and real, live vegans!) but also through educational materials that guide people on how to make plant-based choices with their SNAP benefits, be it at the grocery store or the farmers market. On a larger, more systemic level, we who can should continue to work toward ending subsidies for the cruelty industries (meat, dairy, etc.) and instead try to redirect financial support to food producers who are raising plants, not animals, for human consumption. Ideally, this effort would make ethical, healthier, plant-based foods more affordable. Above all, we vegans should always eagerly welcome a multiplicity of voices from the richly and beautifully variegated population around us in order to come up with a better understanding of the needs, obstacles, opportunities, and possible solutions to help everyone go vegan. I know what it feels like to feel different growing up – for being poor, for being overweight (I was that as a kid, too), for being vegan. I also know that there are people who want to eat in kinder, healthier ways, though their budget and the food choices available to them may make that much more difficult than it is for many of us. Now, almost two decades after my time on food stamps ended, I see activism to reduce the socioeconomic barriers to going vegan as a natural fruition of both those experiences and ethical veganism. My hope is that, through these and other means, we may open our discussion to a wider range of voices … and that there will be no price to sit at the vegan table. Justin Van Kleeck has a PhD in English but left academia in part to work on veganism, the environment, and other social issues. He is a freelance writer and editor who has written for blogs like Sustainablog, Planetsave, and Eat Drink Better. 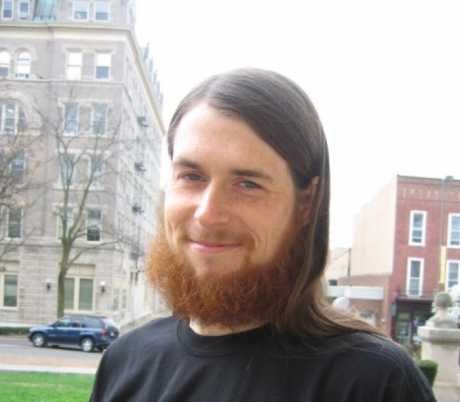 He has experience with education and community organizing, including the annual event Vegan Night Out in Harrisonburg, VA. All of his work, as his life, centers on and starts with veganism and animal rights, and from there extends to environmentalism, sustainable and local food production, individual empowerment, education, and economic and social justice, to name a few. Despite all of that, Justin is an extreme and unapologetic introvert. He and his wife, Rosemary, currently live in Harrisonburg, Va., but are on their way (back) to Chapel Hill, N.C., this fall. I loved this piece and Justin Van Kleek's interview! I also love how OHH showcases so many different people with different voices, experiences, and perspectives! Thanks for your comment, Helen! I really had fun with both of these contributions, and meeting Jasmin & Mariann of course!